Muffins were on deck for the Tuesdays with Dorie group this week. As much as I love a challenge in the kitchen, I also appreciate a simple muffin recipe that’s quick to mix and doesn’t make a lot of dishes. This recipe fit the bill! I made them late in the morning and we enjoyed them for an afternoon snack. I made 1/2 recipe which gave me 8 muffins, though I should have made 9. The muffins overflowed a bit and the crumb topping glued itself to the muffin pan, making them a bit difficult to get remove from the pan. 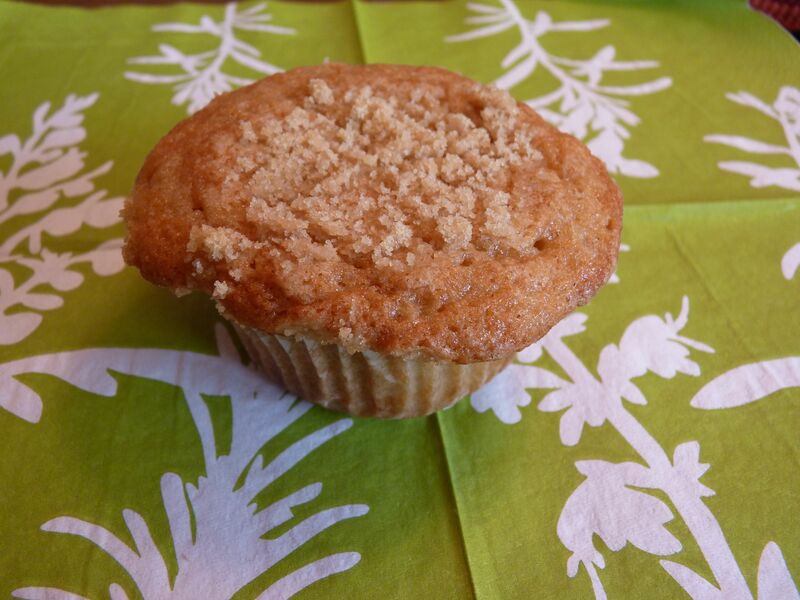 Once they were out, they were tasty – sweet, crunchy crumb topping on top of a tender muffin flavored with cinnamon and nutmeg. They were best the day they were baked, and still really good the next day. Tip: I had some buttermilk in the freezer that I defrosted for this recipe, and it worked great. It seems that I always need less buttermilk than I need to buy, so last time I had extra, I froze it in 1/2 cup portions. David Lebovitz recently wrote a post about freezing cream, and I’m going to try that next. Update: I tried it and it worked! The frozen, defrosted cream whipped up nicely. It will be great to have cream in the freezer for those times I need just a little bit. 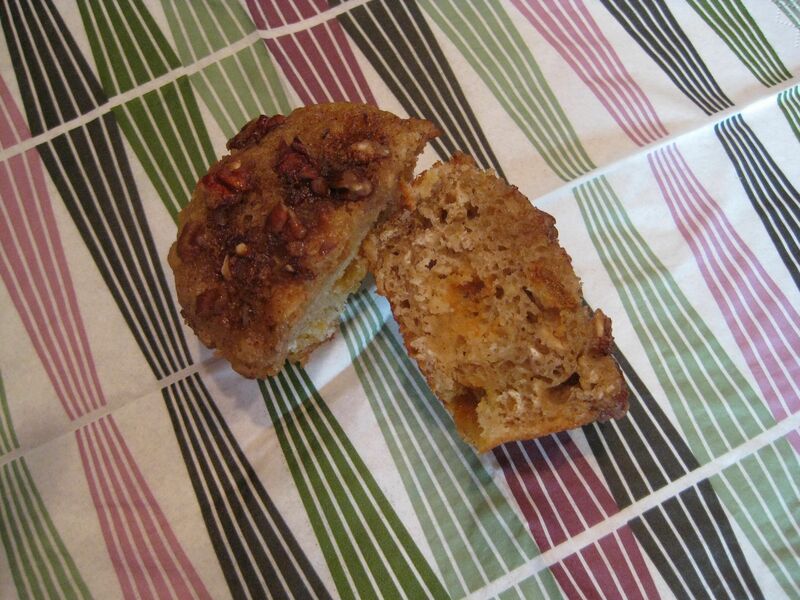 Ready for a quick, nicely spiced muffin? You can find the recipe on page 207 of Baking with Julia. Thank you to Alisa from Easier than Pie for hosting this week. She has the recipe posted on her blog today. 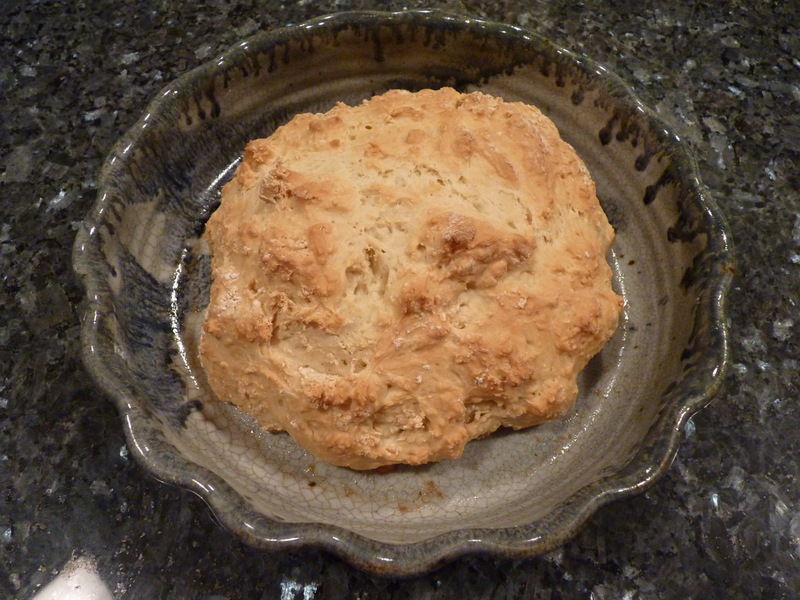 A half-batch of Irish Soda Bread was quick and tasty and delicious with some soup for dinner. I made a plain version, using just flour, buttermilk, baking soda, and salt, but I’m sure that many of the other Tuesdays with Dorie bakers added currants, other dried fruit, and other creative mix-ins. I stored the leftover bread in a plastic bag; the next day it was still moist, but the crust was a little soft, so I sliced it, put a little butter and garlic powder on the slices, and warmed it up in the oven. Irish Soda Bread Garlic Bread! If you don’t have time to make a yeast bread, this is a good alternative for some quick and fresh bread. Don’t wait until next St. Patrick’s Day to make this. You can find the recipe on page 214 of Baking with Julia. Thank you to this week’s hosts: Carla of Chocolate Moosey and Cathleen of My Culinary Mission. They will have the recipe posted on their blogs today. The Tuesdays with Dorie bakers are kicking off October with Apple Muffin Cake, hosted by Katrina from Baking and Boys! Katrina is known for adding chocolate to recipes, so I’m wondering if she managed to add some chocolate to this one. I didn’t add chocolate, but I did make some changes. 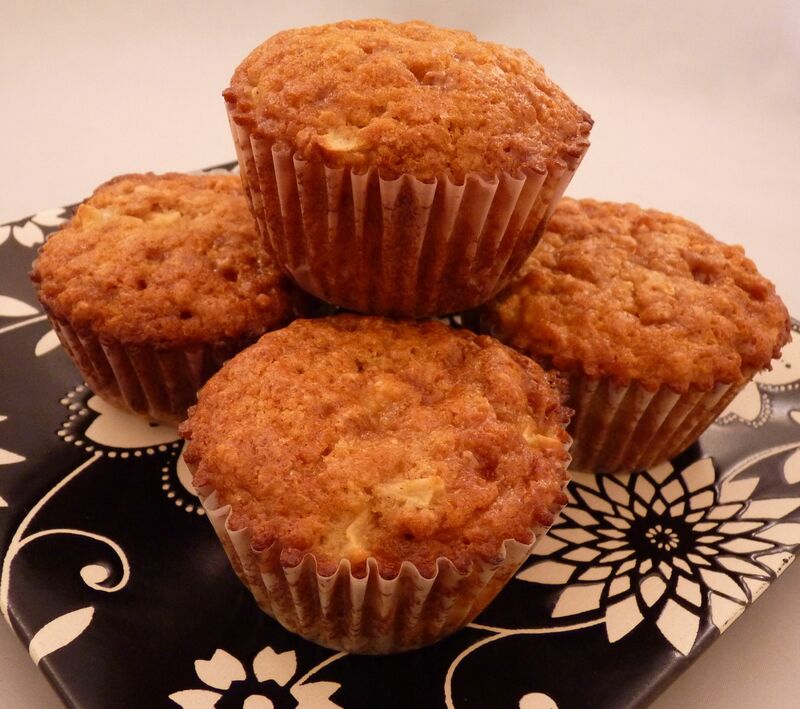 Read on to see how I changed Apple Nut Muffin Cake into Apple-Toffee Muffins. Dorie explains that this was a muffin recipe that she ended up baking as a cake. I like muffins because they’re in individual portions that are easy to give away, so I turned the muffin cake back into muffins. I made half the recipe, which yielded 8 muffins. Since I needed 1/2 egg, I used the white and cooked the yolk for the dog (she got the apple peel too). 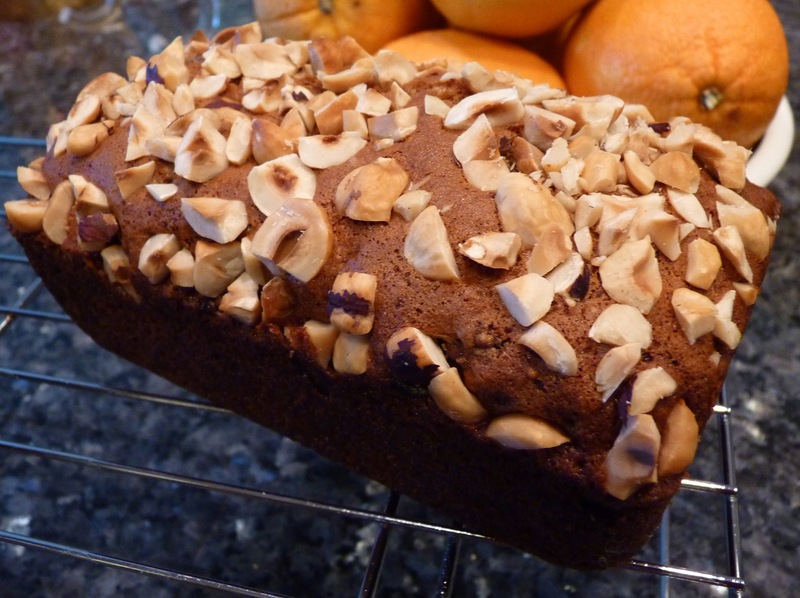 I omitted the raisins and nuts and replaced them with 1/2 cup of toffee bits. After I threw those into the bowl I thought “that was too many toffee bits,” but it was too late. I used paper muffin liners and sprayed them with non-stick spray. I like using the papers, but don’t like it when my muffins or cupcakes stick to the paper. Spraying them worked great! 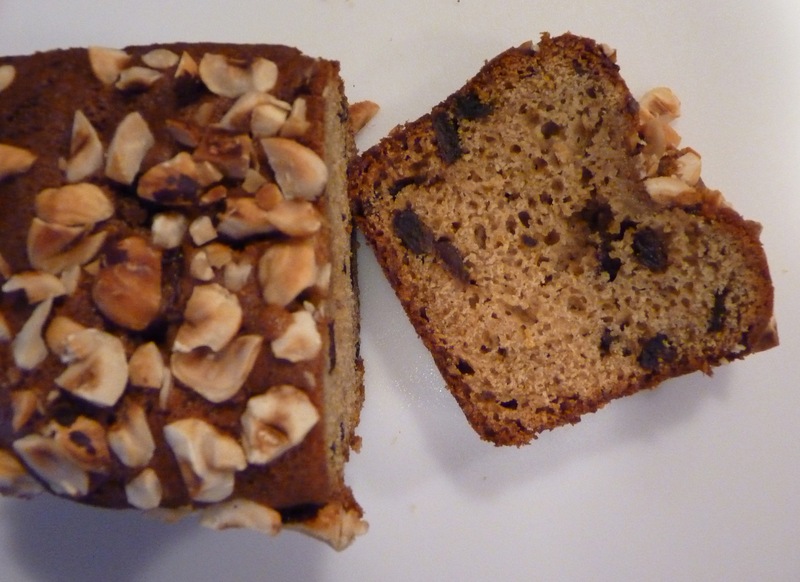 How it went: There were a lot of things to measure out, but as with most quick breads, it was quick to mix up. I baked the muffins for 19 minutes; they got really brown, but that may have been all the toffee bits, which melted into the batter. Open your copy of Baking: From My Home to Yours to page 37 and try Dorie’s version, my version, or your own version of this recipe! If you want to try before you buy, click over to Baking and Boys! ; Katrina has the recipe published today. Popovers are a blast from my past. 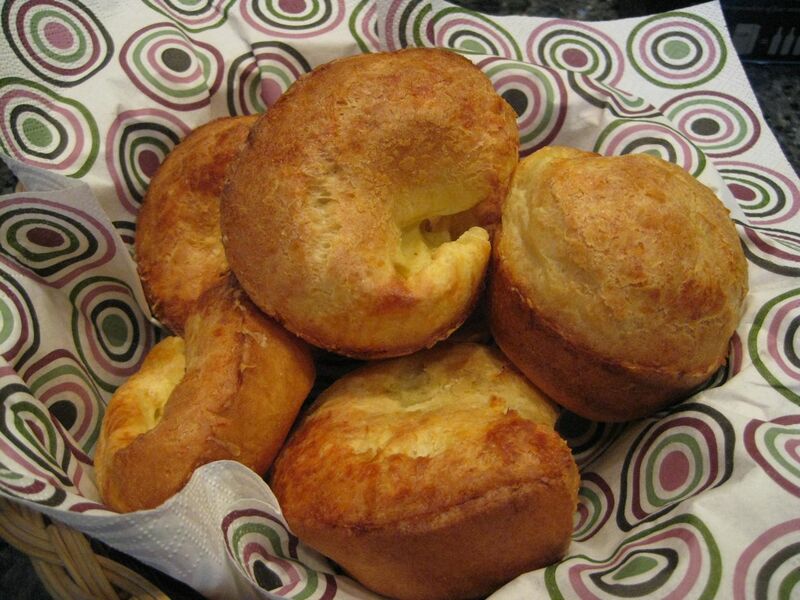 When I think of them, I remember my mom’s homemade popovers, which I drenched with honey. A restaurant called The Proud Popover also comes to mind, It was a girls’ lunch kind of place that served them with sweet and savory fillings. 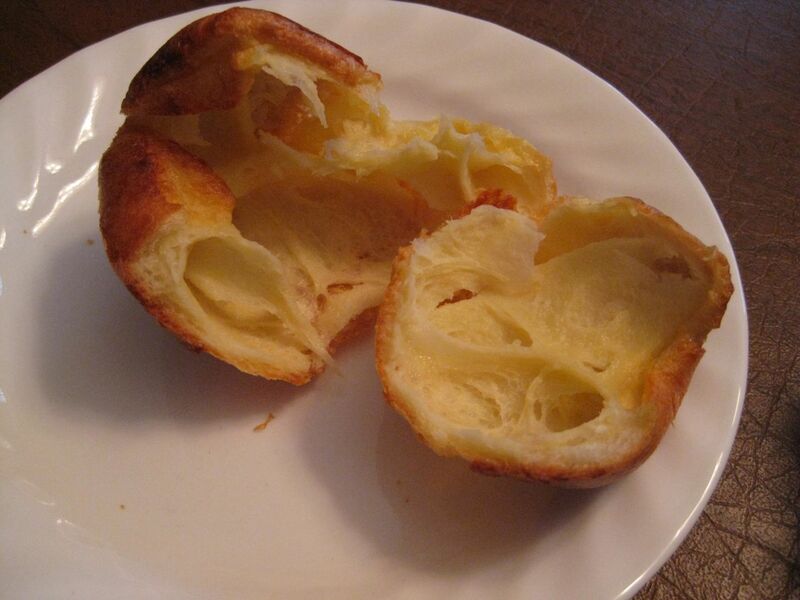 After a many-year-long hiatus, I was reunited with my old friend the popover, thanks to Michele. She’s been talking about Rebecca Rather the Pastry Queen, so I got a copy of The Pastry Queen Christmas from the library and we decided to make popovers. This is a savory recipe, with parmesan cheese (or whatever kind of cheese you want to add). The cheese is layered in the middle and magically rises to the top to form a tasty, toasty cheese crust on the top of the popover. I served them with soup; they’d be great with brunch too. How about fresh, cheesey popovers with your Easter ham? My first batch looked impressive coming out of the oven, but quickly sank into an eggy lump. I’m pretty sure that it was because I used a silicone muffin pan, but it also could have been because I forgot to adjust the oven temperature. The recipe is easy, but there are three different oven temperatures, and I missed one of the changes. Attempt number two was a resounding success! I used a regular muffin pan, and even took some liberties with the recipe: I used cooking spray instead of melted butter in the pan, and I used a mix of whole milk and skim milk, because I had used up most of my whole milk on the first attempt. The second round was a little lower in fat and tasted wonderful! The recipe calls for a Texas-sized muffin pan or a popover pan. Using a standard muffin pan, I got six popovers from half a recipe. If you want to give these a try, Michele has the recipe posted here. Click over to her blog to see it and to see how her popovers turned out. The Pastry Queen Christmas is worth a look too. The Amazon preview shows a few pages and you can look through the index to see what recipes are in the book. 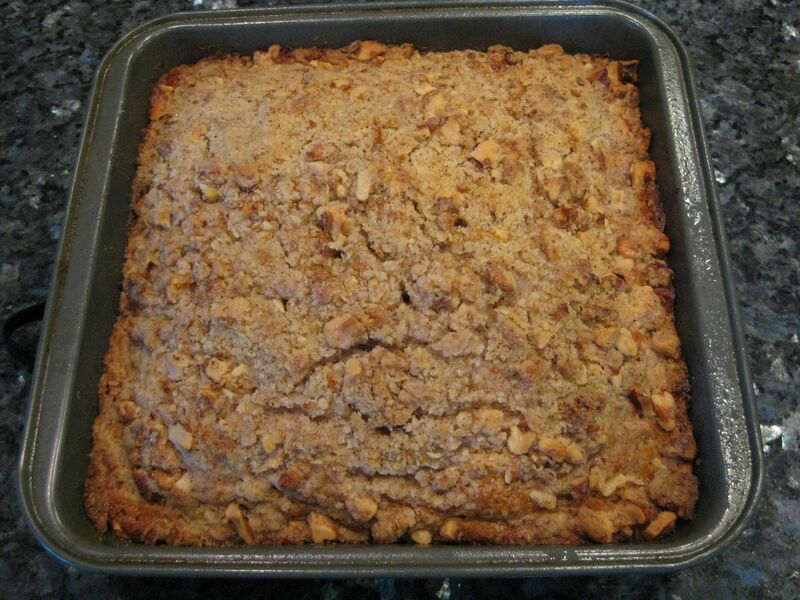 This week the Tuesdays with Dorie (TWD) bakers made Cardamom Crumb Cake. I’ve been baking with the group for over two years, and this is the most exciting week yet. Why? Because I selected the recipe! I love cardamom, so when I saw this in the book, I decided it was the recipe for me. Well, for me and for the other bakers who are baking along with me this week. It was a piece of cake to make this! Any other week, I probably would have cut the recipe in half, lightened it by replacing some of the butter with yogurt, and baked it as muffins instead of a cake. But this week, I made the recipe exactly as stated. It was easy to put together, I baked it for 30 minutes, and it was delicious. I couldn’t have asked for more. Cardamom’s mysterious spiciness paired wonderfully with the orange zest. This would be a great cake to serve at a holiday brunch; it’s a welcome twist on the expected gingerbread or cinnamon and nutmeg. I selected this for my tastes, and wasn’t sure how it would go over with my husband. I’m happy to report that he enjoyed it! He appreciated that the cardamom wasn’t overwhelming and he declared the crumbly top to be perfect. 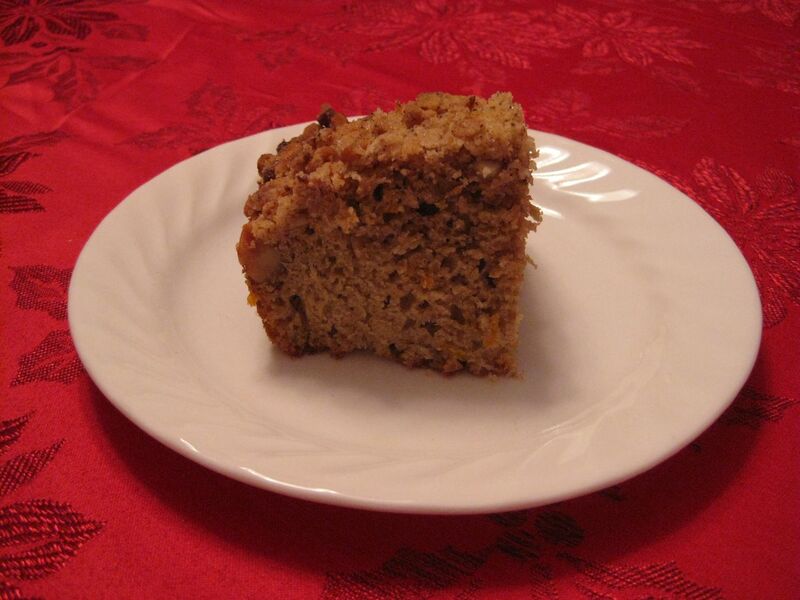 You can find the recipe on page 38 of Baking: From My Home to Yours, or scroll down to see the recipe right here. Thank you to everyone who baked with me this week! Getting ready: Center a rack in the oven and preheat the oven to 400 degrees F. Butter an 8-inch square baking pan, dust the inside with flour and tap out the excess. Put the pan on a baking sheet. To make the cake: Whisk together the flour, baking powder, salt, cardamom, and espresso powder in a large bowl. 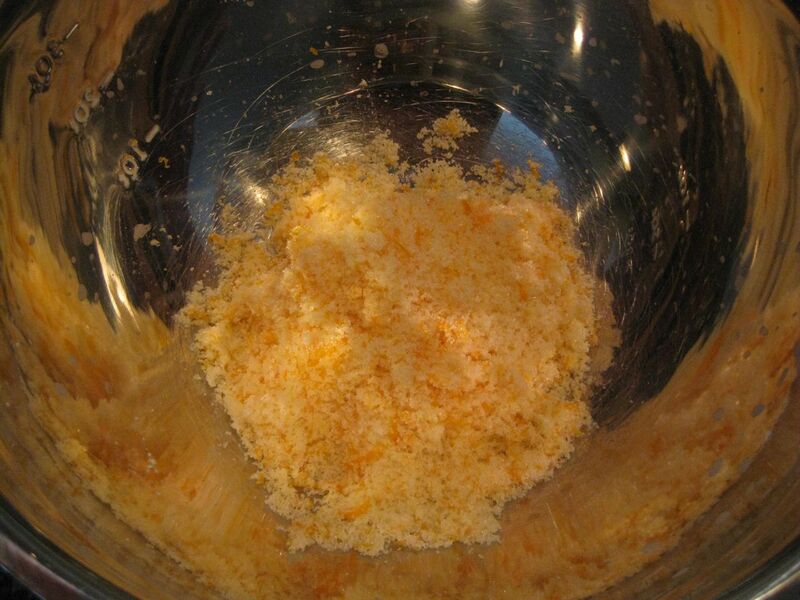 Turn the dry ingredients out onto a sheet of wax paper, and put the sugar and zest in the bowl. Rub them together with your fingers until the sugar is moist and the fragrance of orange strong, then return the dry ingredients to the bowl and whisk to blend. 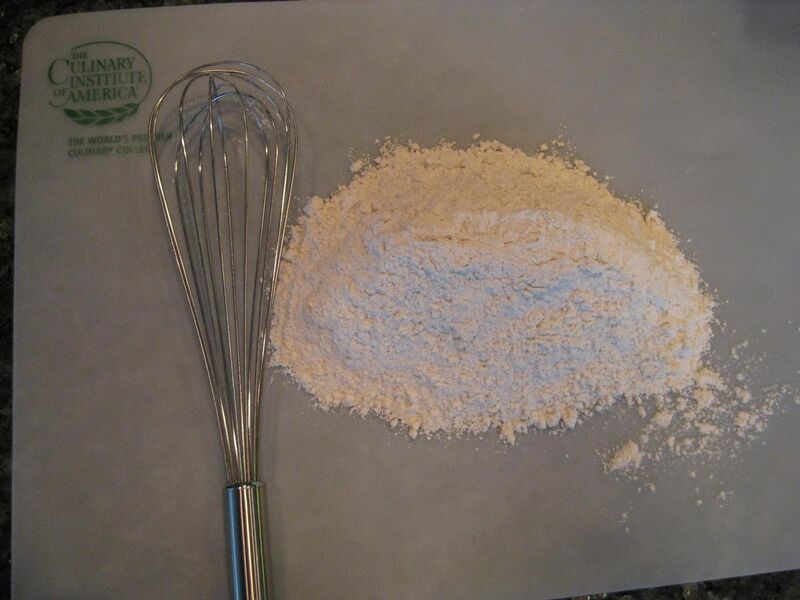 Put the remaining ingredients in another bowl and whisk them to blend. 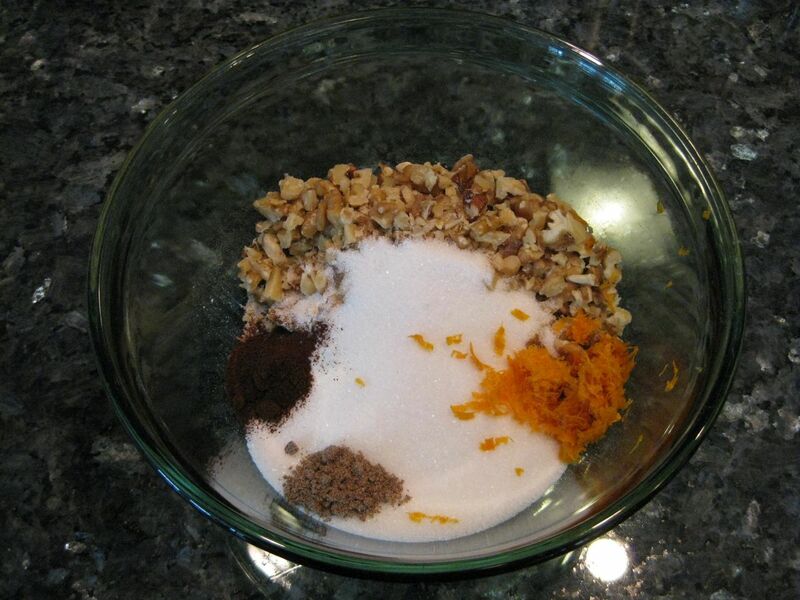 Pour the wet ingredients over the dry and stir – don’t beat – to mix. Stir only until you’ve got an evenly moistened batter. 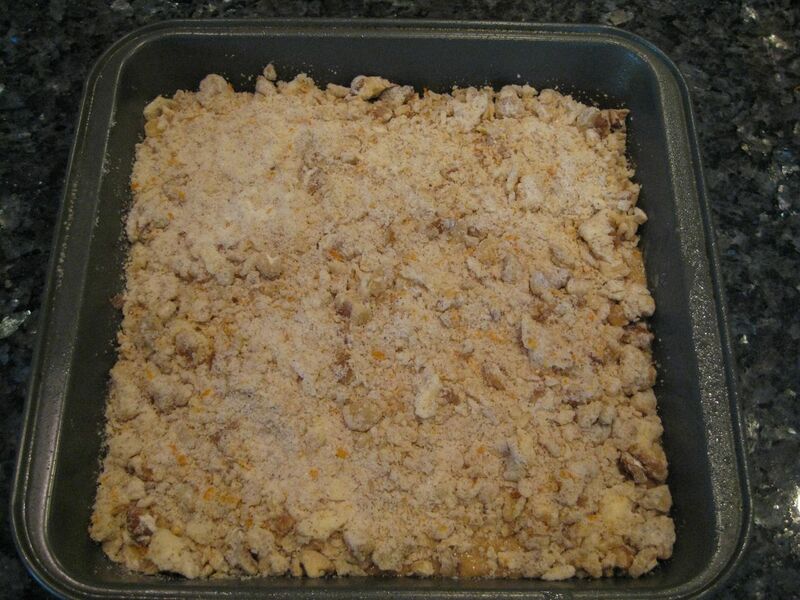 Scrape the batter into the prepared pan and top with a thick, even layer of the crumbs. Pat the crumbs ever so gently into the batter. Bake for 30-35 minutes, or until the cake has risen (it will crown), the crumbs are golden and a thin knife inserted into the center comes out clean. Transfer to a rack to cool in the pan before serving warm or at room temperature. Serving: Cut the cake into squares and serve warm or at room temperature. Storing: This cake is best served the day it is made. It can be wrapped airtight and frozen for up to 2 months; once it defrosts, it benefits from a quick warm-up in a 350-degree-F oven. Playing Around: I often make just the crumbs and use them to top ice cream and desserts like Chocolate Pudding (page 383), Coffee Caramel Pots de Crème (page 389) or Lemon Cup Custard (page 387). 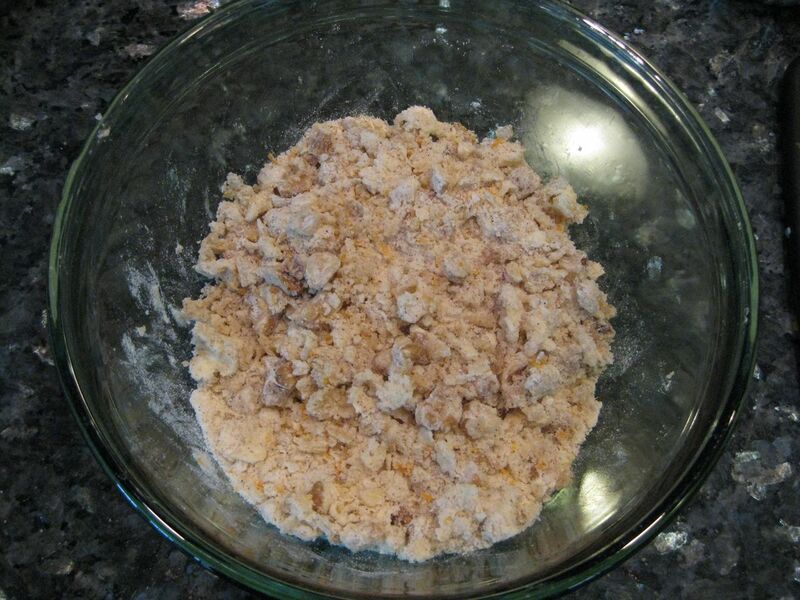 Make the crumbs as directed and refrigerate them for 2 hours. Crumble up the mixture, spread the crumbs out on a baking sheet lined with parchment or a silicone mat and bake in a 350-degree-F oven for about 15 minutes, or until golden and baked through. Let cool. The crumbs can be wrapped airtight and kept at room temperature overnight or frozen for up to 2 months. You are currently browsing the archives for the Quick Bread category.